Hello my lovely readers and happy Sunday! I can't believe I made it this far! In less than one year of blogging, I have posted 200 times! I couldn't have made it without you and this is my way to thank you for coming over to my little corner of the internet. I would never quit blogging regarding how many followers I have, because I love it too much. But knowing that people enjoy my posts and are willing to read my ramblings makes me so happy! 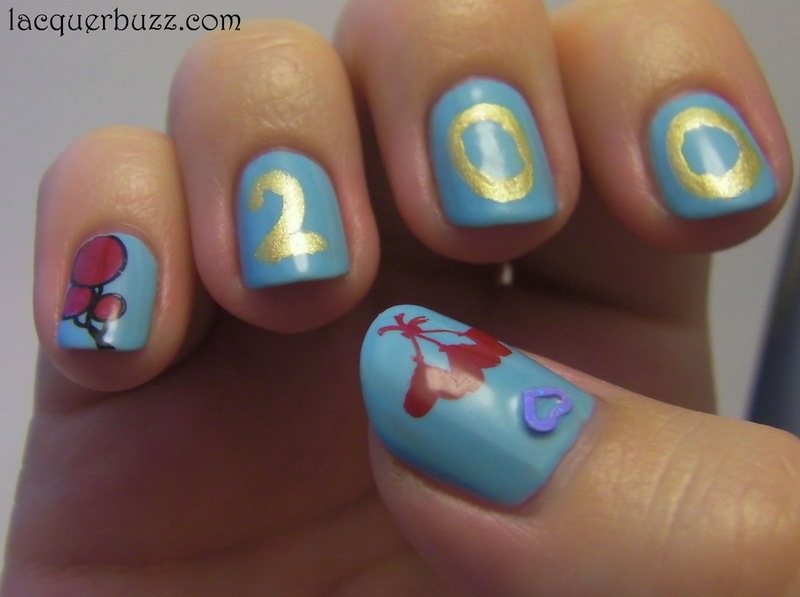 I did a little nail art to celebrate this moment. This is not my best work. I have to admit that I haven't done free hand nail art in a long time. Clearly I need to practice more. The base color is Flormar 423. 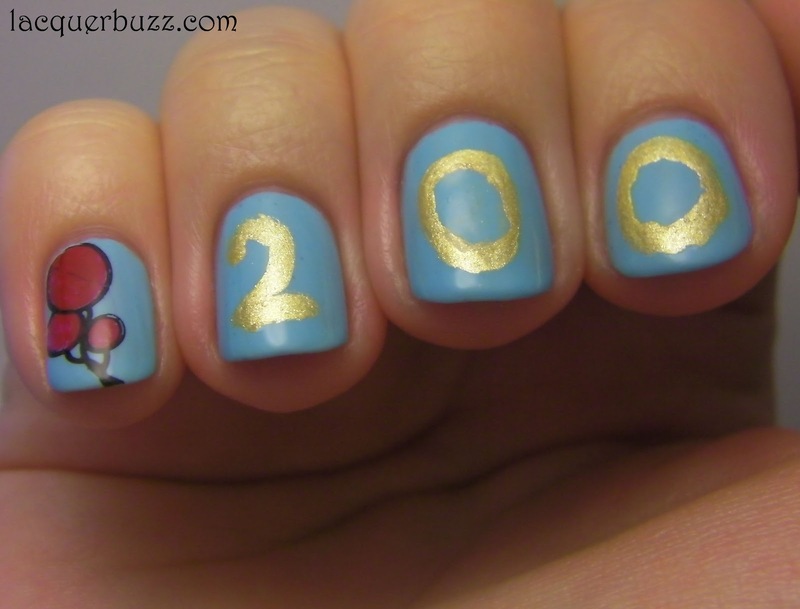 I did my best to draw the 200 with a small nail art brush and some gold striping polish from Golden Rose. 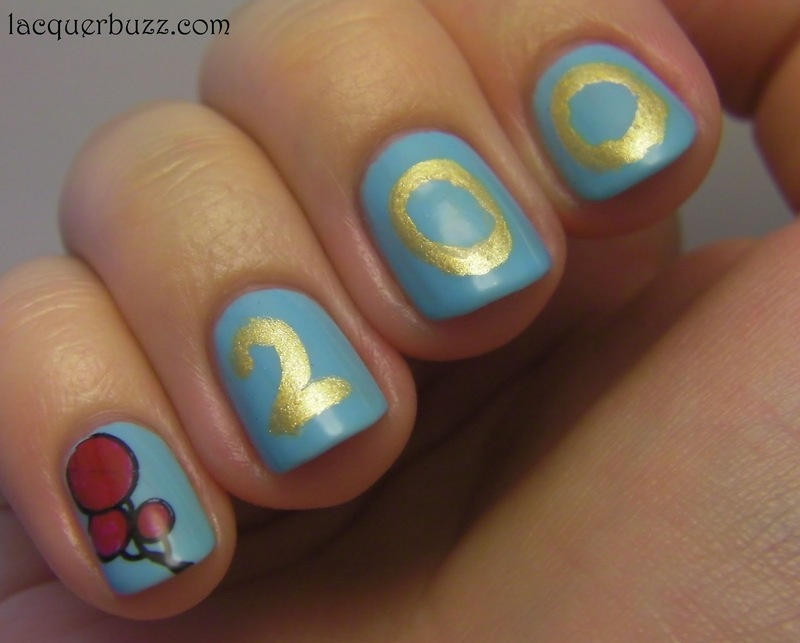 The balloons are stamped from plate FUN 1 and filled in with red. On my thumb I stamped some hearts from plate FUN 2 and used a little heart decal, to show the love and appreciation I have for all of you. The GFC followers are not the only ones I want to thank. There are many social media outlets that I use, even if it's a little hard to keep up with everything. To the ones following me on all the other social media outlets, I want to say a big thank you! I'm so glad I made it to 200 posts and I hope there will be many more in the future!